3M™ Complete Fuel System Cleaner works in the time that it takes to consume one tank of gasoline (15 – 20 gallons). In addition to removing gums, resins and deposits, our fuel system cleaner can also protect against the carbon build up that occurs over time. With the increased use of lower and mixed qualities of discount gasoline, the need for cleaning your engine from the inside-out is becoming increasingly important. The build up of deposits affects engine performance, causing poor fuel economy, loss of horsepower, rough idling and hesitations when stepping on the gas pedal. These problems are often first noticed when starting the vehicle, after driving shorter distances or driving at lower speeds. By adding a quality fuel additive/cleaner, like 3M Fuel System Cleaner, it can prevent and even eliminate problems. Using our fuel system cleaner every 3,000 – 4,000 miles can keep the engine clean and running efficiently. Fuel system cleaners are a small investment in better automotive performance. 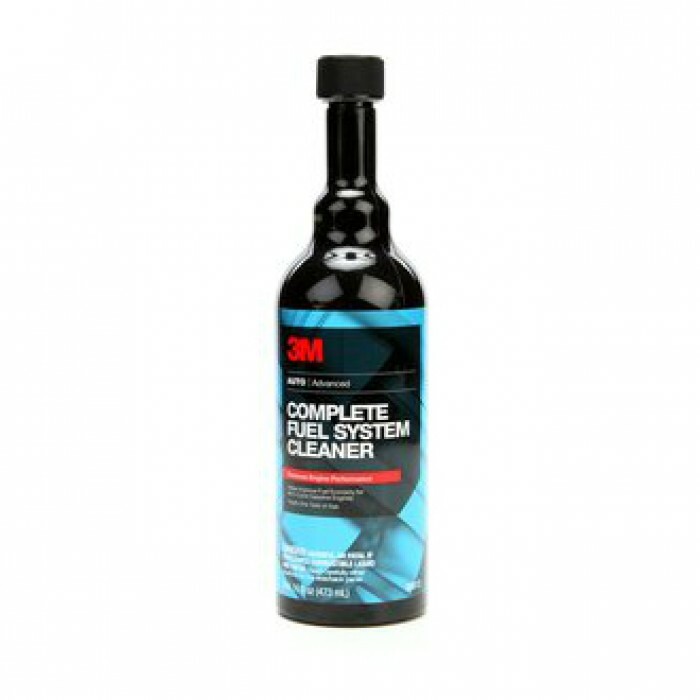 3M™ Complete Fuel System Cleaner is a high quality fuel tank additive that effectively cleans fuel injectors, intake valves, and combustion chambers - removing carbon, gum, resin and varnish deposits to help improve fuel economy and restore power.